One of the most common mistakes new businesses make is cutting corners on their identity. Often times, when we are engaged by a client for marketing services (i.e. collateral materials, website development, etc.) and when we review their assets, we find issues with their logo (also known as a brandmark.) Your brandmark is important because it is the face and identity of your business. It should be created by a professional graphic designer who understands proper file formats, licensing, and is willing to provide you with rights to the final artwork. 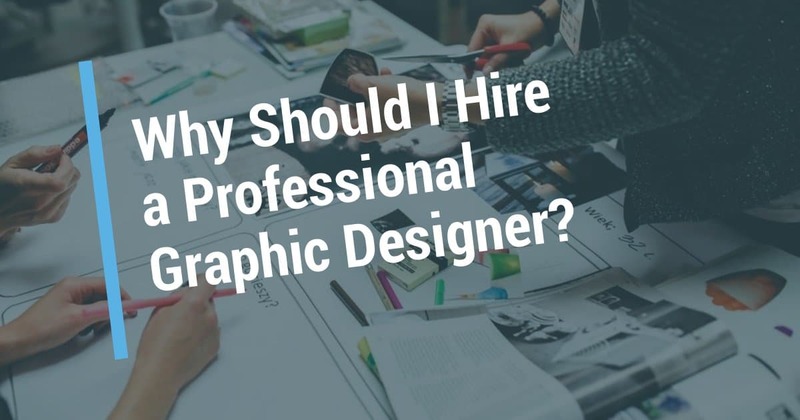 Engaging a qualified graphic designer from the beginning can avoid some very costly issues down the road. Let’s take a closer look. A professional graphic designer is trained in strategies to ensure the proper imagery, colors, and text are used to reach your target market(s). Reaching your target market(s) is the first step in getting your business off the ground. Designers are artists, but artists are NOT designers. A professional graphic designer will create artwork that influences how people see, feel and react to your message. Every element of design must have a purpose, otherwise it is just decoration and may confuse or distract from your message. Most of the time, less is more in graphic design. Hiring a professional graphic designer ensures you will receive your logo/brandmark files in the proper formats. Brandmarks must be designed to work at all sizes, from a business card to a billboard. Creating the brandmark in the wrong format will severely limit its scalability and usability across multiple mediums. You must make sure the artwork provided to you is original. If the artwork is pirated, stock art, or unlicensed clip art, the first indication of a problem will likely be a legal notice or lawsuit. This can result in your reputation being compromised and the artwork needing to be changed, recreated or licensed. We have had clients come to us with brandmarks they have purchased from an online vendor that “guaranteed the artwork was original and properly licensed” only to later find out it was not. This costly mistake can lead to hefty fines and, in worst cases, closing of the business. Do you need a professional logo or are you unsure if your current logo meets all of the above criteria? The Site Crew is a full-service online marketing firm with professional graphic designers on staff to create artwork that targets your audience with your message to drive consumers to consider your product or service. Contact us today for a free marketing asset evaluation. https://thesitecrew.com/wp-content/uploads/2018/08/Why-Should-I-Hire-a-Professional-Graphic-Designer.jpg 630 1200 jong833@gmail.com /wp-content/uploads/2015/09/logo-large-e1443277888385.png jong833@gmail.com2018-08-08 17:25:502018-08-16 15:43:27Why Should I Hire a Professional Graphic Designer?